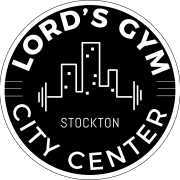 Lord's Gym City Center (City Center) is unlike any non-profit organization in Stockton. While its vision is to keep the San Joaquin Valley's underserved youth population off the street, its also providing opportunities for educational advancement, soft skills development & relationship building with the community at large. By way of a state-of-the-art fitness facility, the City Center encourages community members to hold active memberships dedicated to strengthening their body and community simultaneously. The City Center is the Valley's largest teen center engaging the community as a whole and creating unity like never seen before. Would you recommend LORDS GYM CITY CENTER INC?